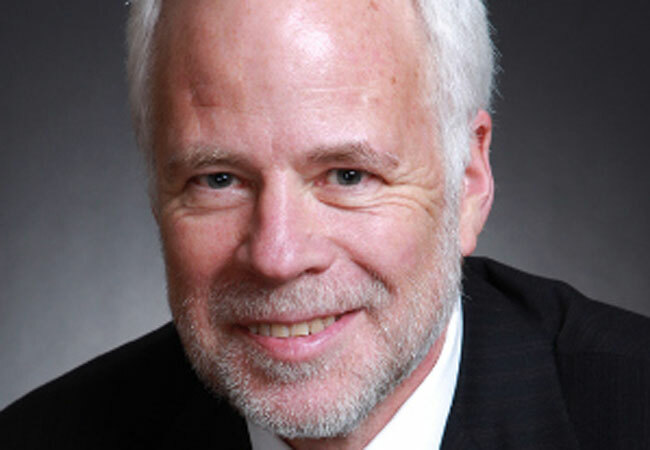 Barry Eichengreen, University of California, Berkeley, will hold the Visiting Professorship of Financial History at Goethe University Frankfurt’s House of Finance next year. The professorship is endowed by Metzler Bank and Friedrich Flick Förderungsstiftung. Barry Eichengreen is George C. Pardee and Helen N. Pardee Professor of Economics and Political Science at the University of California, Berkeley. His research focuses on the history and current operation of the international monetary and financial system. His most recent books include The Populist Temptation: Economic Grievance and Political Reaction in the Modern Era (2018), How Global Currencies Work: Past, Present, and Future with Livia Chitu and Arnaud Mehl (2017), Hall of Mirrors: The Great Depression, the Great Recession, and the Uses – and Misuses – of History (2015), and Exorbitant Privilege: The Rise and Fall of the Dollar and the Future of the International Monetary System (2011) (shortlisted for the Financial Times and Goldman Sachs Business Book of the Year Award in 2011). One of the best known books by Barry Eichengreen is Golden Fetters: The Gold Standard and the Great Depression, 1919–1939 (1992) which argues that a main cause for the world depression of the 1930ies was the structurally flawed and poorly managed international gold standard. In his most widely cited paper (with Tamim Bayoumi in 1993) he argued that the European Union was less suitable as a Single Currency Area than the United States. Professor Eichengreen was educated at Yale University in New Haven, CT (M.A in Economics, M.Phil. in Economics, M.A. in History and a Ph.D. in Economics) and the University of California, Santa Cruz (B.A. in Economics and Political Science). He is a Research Associate at NBER (National Bureau of Economic Research) and a Research Fellow at CEPR (Centre for Economic Policy Research). He received a doctor honoris causa from the American University in Paris and, in 2010, the Schumpeter Prize from the International Schumpeter Society. Eichengreen has been named one of Foreign Policy Magazine’s 100 Leading Global Thinkers, and he is a past president of the Economic History Association (2010-11 academic year). During his stay in Frankfurt in May 2019, Barry Eichengreen will head a workshop for young scholars on the occasion of the 50th anniversary of the IBF (Institut für Bank- und Finanzgeschichte) on “Financial History – Reflections on the Past to Tackle Today’s Key Finance Questions” and deliver the keynote address in an international research conference at Goethe University. He will also give a seminar titled “Topics in Macroeconomic History” in the Ph.D. program of the University’s Graduate School GSEFM at the House of Finance. Professor Eichengreen is the fifth holder of the Goethe University Visiting Professorship of Financial History. In the context of this professorship, distinguished international experts in banking and financial history are invited to share their research insights and methods with researchers, students and the interested public in Frankfurt. Cooperation partners are the Research Center SAFE at the House of Finance and the Institut für Bank- und Finanzgeschichte. Previous Visiting Professors were Benjamin Friedman, Harvard University (2015), Caroline Fohlin, Emory University, Atlanta (2016), Hans-Joachim Voth, University of Zurich (2017) and Harold James, Princeton University (2018). The Visiting Professorship was initially endowed by Metzler Bank and Edmond de Rothschild Group in 2014 on the occasion of Goethe University’s centennial. Since 2018 it is sponsored by Metzler Bank and Friedrich Flick Förderungsstiftung.